Many species of hummingbirds have already migrated south for the winter, though some species will be present year-round: Costa's, Magnificent, and Broad-billed Hummingbirds in Arizona; Allen's and Costa's Hummingbirds in California; and Anna's Hummingbirds throughout the West Coast, all the way north to British Columbia. 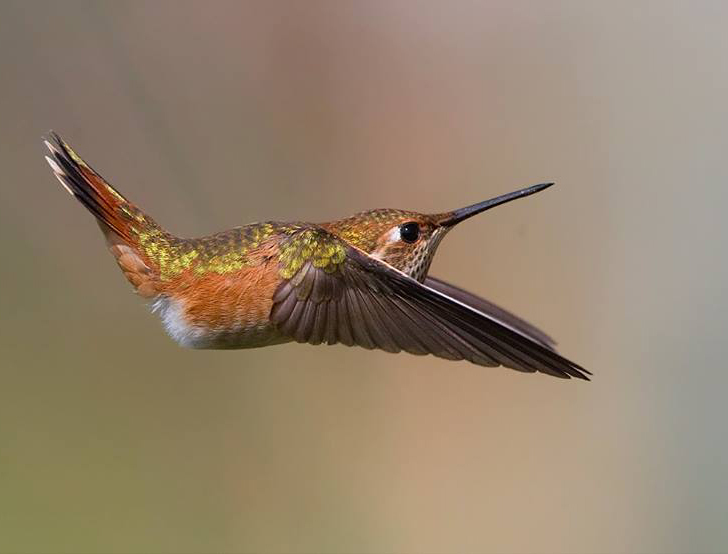 (Learn more about hummingbird migration from BirdNote's Ellen Blackstone.) If you are missing your backyard hummers, take heart! We've pulled together some beautiful hummingbird photos by Tom Sanders and other contributing photographers to help ease the pain until these avian gems return next spring.